BCS second graders in a Maker Space set up at Egan. Here the class is learning to design a simple game about eating healthy as part of an integrated Project-Based Learning unit. The teaching space includes Lego Wedo kits. Other grades design, assemble and program simple robots using kits. People often ask, “What’s different about Bullis Charter School? 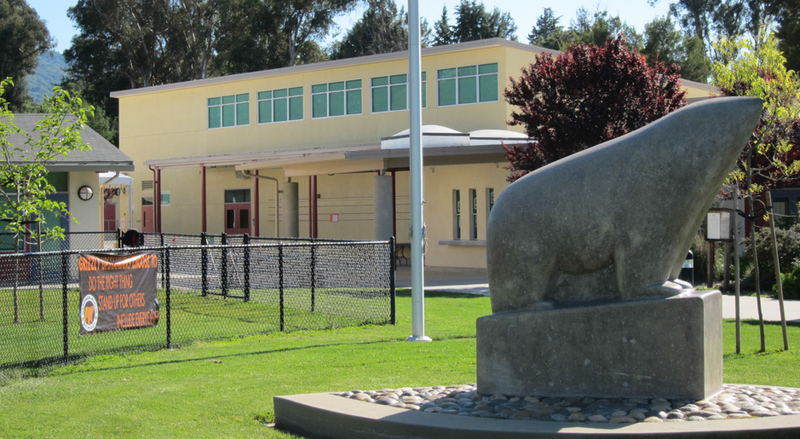 Why have another public school system if the second system is about the same as the first?” Lalahpolico had a chance to visit both the Egan and Blach BCS campuses a couple of weeks ago and that visit helped to shed light on the answer. The short answer is that the two systems are not the same. They differ in the curriculum, teaching methods, longer time at school and the teachers they attract. 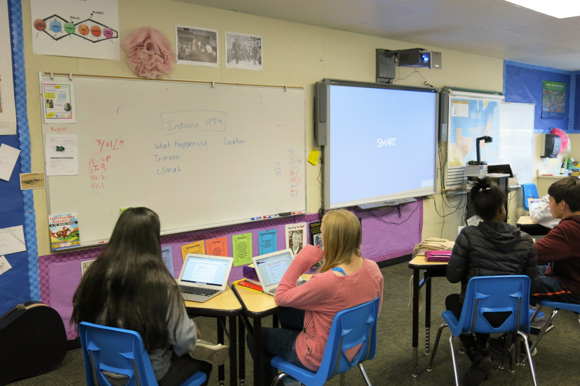 As an alternative public school, the charter follows all state content standards adopted by the California State Board of Education for English-Language Arts, Mathematics, History-Social Science and Science. California has now adopted the Common Core State Standards for ELA and Math and therefore, so has BCS. Furthermore, BCS students take the same standardized tests as LASD. Yet as a type of alternative school, BCS does have a different educational philosophy and more freedom from two bureaucracies: the California Department of Education and the teacher union’s hiring, assessment, retention and work rules. A key difference is the teachers. Bullis Charter School looks to hire broadly talented individuals who not only can teach the subject or grade level, but also bring life skills, hobbies and passions directly to the job. BCS hires the whole person, just as it teaches the whole child. Teachers are encouraged to share their skills, hobbies and passions with the kids through co-curriculars (blocks of time on Fridays for multi-grade level classes and projects) and extra-curriculars (blocks of time before and after the instructional day). Created by the teachers, all the the co-corriculars are tied to academic standards and are taken by all students as part of the charter’s regular program. Teachers bring their passions to BCS. A new teacher was formerly in a steel pans ensemble in the Northwest. Now BCS has added steel drum to its music room and repertoire at Egan. 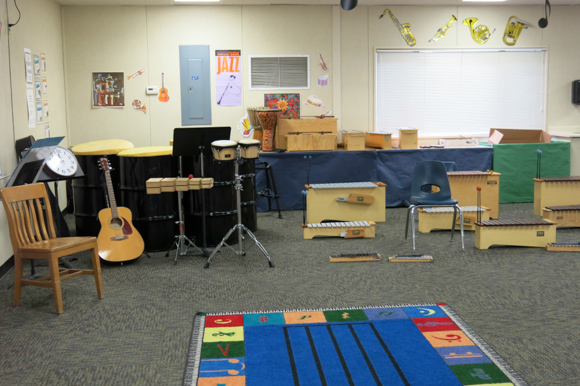 Shown here are lots of xylophones. And a rug where kinders play singing games with their teacher. Math, Science, Technology (e.g. Edible Math, Pirate Treasure Mappings, Tech Challenge) Performing and Visual Arts (e.g. Fiddle Class, Paper Cutting, Tap Dance). Extra-curriculars are also created/taught by the BCS teaching staff, and this is another way to share their passions and interests. Classes range from Beads and Things, Ultimate Frisbee, Yoga, Scrap Booking,Steel Drums,to choirs, bands, and dance teams to name a few. Each teacher is encouraged and allowed to innovate all year, every year. Teacher-led change happens quickly because each group of grade level teachers meets routinely to discuss what works and what doesn’t. They can learn from each other’s experience on a regular basis and are able to make improvements as they see fit. To make a change, faculty just run it by Principal Wanny Hershey and get a quick decision. Teachers can be agile, trying out and learning new things themselves. This keeps the teachers fresh, engaged, and exciting for kids to be around. With teachers like that, kids can learn how to learn earlier than ever. There are ample opportunities for “student-driven learning,” including independent reading, book clubs, and their writing portfolio. At Egan, inside the BCS Multipurpose Room. 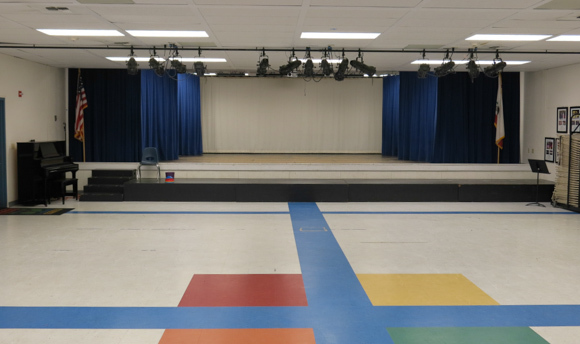 Every grade level performs grade-level plays here. Students practice character development skits for school-wide assemblies. All the performing arts are an important activity at BCS. All teachers get healthcare and participate in the State Teachers Retirement System (STRS). BCS offers extensive staff development, expecting that beyond being fully credentialed, teachers will become National Board Certified Teachers as well. All teachers receive training that is central to BCS philosophy of education. For example to understand different student learning styles, all staff complete a Schools Attuned training. Depending on the teachers area of expertise, they attend relevant regional or national education conferences for – science, reading, technology, or music, etc. – to keep up with the latest approaches. At BCS teachers drive decisions on what learning aids and supplies to buy, not administration. BCS teachers, not just administration, collaborate to develop student blended learning units that cross subjects and blocks of time in order to reinforce concepts across language arts and STEAM topics. Kinders follow the state Mandarin curriculum, learning numbers, shapes and colors in both languages. Teachers may spend time with other teachers co-teaching, especially for co-curriculars and extra-curriculars which usually blend many disciplines. In this way teachers may observe each other and learn a few new “smooth moves.” Teaching can be an isolating profession – in a typical public school an adult spends all day talking only to kids. Adults need other adults. At Bullis Charter School teachers are always getting together to collaborate, discussing what works and what to retune. As a group, teachers design new learning units, plan how to best use the two-campus facilities, and of course they may co-teach. A first grade classroom. 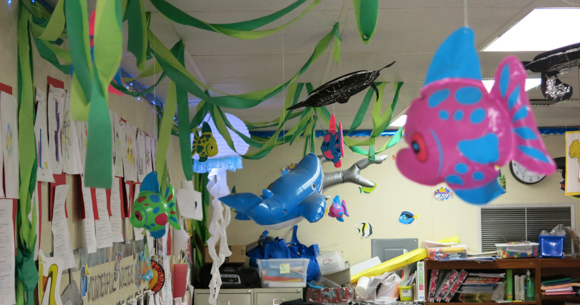 A year long unit combines learning about the biology of leatherback turtles and the oceans as well as world geography by videoconferencing with other schools and emailing people around the world (pen-pals) who follow the turtles’ annual lifecycle and migrations. 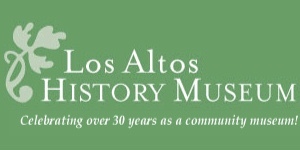 Lots of older residents of Los Altos and Mountain View are not acquainted with the buzz words for “new” trends in public education. An example of blended learning…in kindergarten the math concept of shapes is reinforced during the 20 minutes a day of Mandarin practice when the kids learn the shape names in Mandarin too. In 5th grade when the students are learning human muscle groups, they learn to sculpt a wire frame model of human body in art class, incorporating math concepts such as proportions. Later they work with clays to layer on the various muscle groups onto the frame. The PE units during this time will focus the student on working and strengthening his or her own muscle groups. Our local school district, LASD, is now trying to implement what it says is “individualized learning, blended learning & project-based learning.” But Bullis Charter School is the real deal and has had all these features of the “Finland education model” since BCS’s inception in 2003. Each year when Principal Wanny Hershey recruits new teachers and new staff, all are trained in the Schools Attuned methodology. It provides teachers with the skills to determine a child’s focused learning goals and with strategies to address individual needs in the regular classroom setting. In this way, the entire BCS staff is steeped in the method. 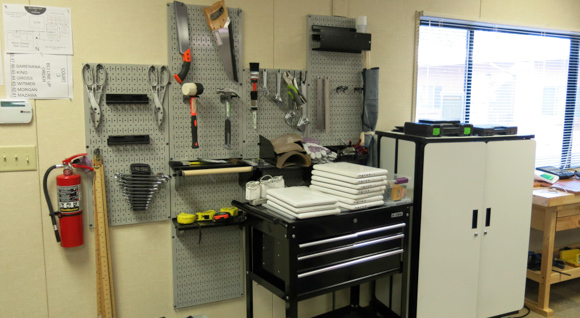 The tool wall at BCS at Blach. Middle schoolers will spend three weeks on a Tech Challenge. They identify an unmet need and then design and build a prototype solution – combining mechanical, structural, electronic and software elements. At Bullis Charter School individualized learning starts during kindergarten intake. 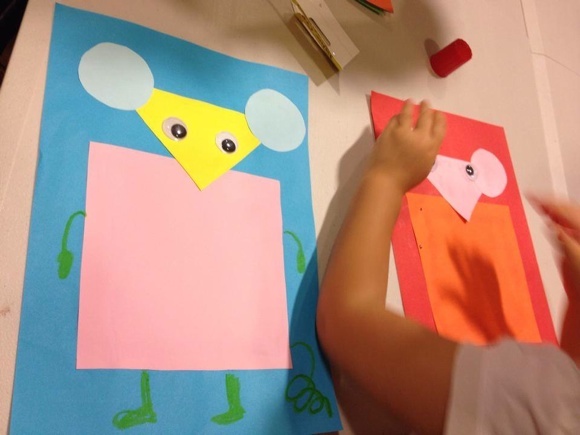 The parents are asked to reflect on their child, and share with the their child’s kindergarten teacher what they perceive as their child’s strengths and weaknesses. Parents are asked to list some prioritized academic, behavior and personal goals for the year…in writing. After review by the teacher, this document becomes their child’s Focused Learning Goals (FLG). For example, a parent might report that a kinder is “too shy” compared to an elder sibling. The teacher will take steps to let the child gradually become more confident in public speaking and drama and ultimately become more outgoing. In the 4th grade, the child begins to add a goal or two to their FLG. By the 8th grade, kids design their own FLG — with parental and teacher review of course. Here is a sample from a second grader’s mid-year FLG. Reading: I will be able to summarize text, including all the characters, events and details in the appropriate order. 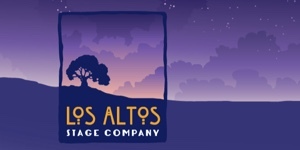 Writing: I will be able to show rather than tell by including more descriptive details. Math: I will solve multi-step word problems with written explanations, diagrams and number sentences Behavior: I will set a good example by working hard and staying focused on school tasks. Personal: I will learn to skateboard by taking lessons and practicing at home. The teacher givens written feedback on progress towards each goals after each trimester. In a public school classroom, on a daily basis, a teacher may group kids into small groups based on who needs what help at what level. This is most prevalent in younger grades and is also practiced at LASD to some extent. At BCS, Associate Teachers, certificated full-time teachers, are in every classroom and provide additional support for students who may need a differentiated program. For students requiring extra support, Associate Teachers are able to pull them into small groups or work 1:1 in order to re-teach or work on specific skills and concepts adapted to a child’s learning style, or to challenge them to take their learning deeper. These interventions can keep children with small gaps remain with their class at all times, rather than having to pull them from the classroom for 30 minutes or an hour every week, or every day. Associate Teachers are placed in classrooms based on their expertise and the needs of the class. 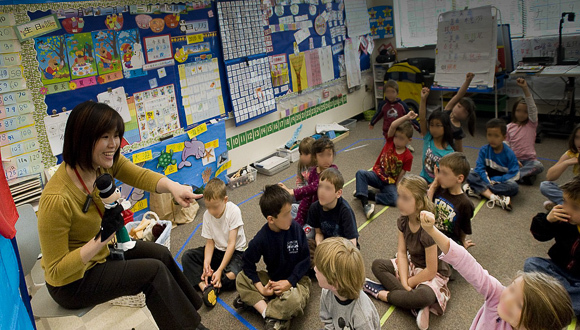 For example, an Associate Teacher with a special education certification and experience can be assigned to a class in order to help support the classroom implementation of a student’s IEP goals; Associate Teachers with math and/or reading expertise can be placed in classrooms where there are students in need of intervention or extension in those areas. When students excel, more advanced programs can be quickly designed to keep them engaged and moving forward. For example, a group of 6th grade students who were ahead in math worked with the 7th grade math credentialed teacher. A 4th grade student was given a condense 4&5 program so she could consider advancing to 6th. Dance teams were challenged to compose and explore other styles. Advanced Mandarin students competed in speech and writing competitions. And Associate Teachers help each student at every grade level reach for the challenges in his or her individual Focused Learning Goals. 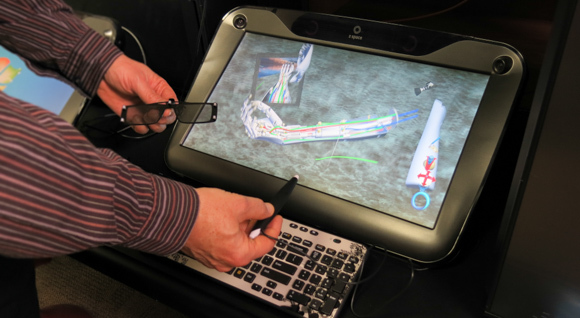 BCS offers technology integrated instruction. Technology skills are taught in the context of project-based units that integrate with the curricula. Third graders create movies based on their research of prominent Americans; 1st graders create podcasts to teach others about the plight of the Leatherback Turtles; 2nd graders develop Power Point presentations for their parents on Back To School Night about themselves and their goals for the year; 1st graders blog to keep the community aware of what they are working on in the classroom; 7th graders utilize online applications to track their reading progress; and 5th and 6th graders design web pages with information, pictures, and questions their research projects (states and medical respectively). Bullis Charter School teaches kids how to use technology to create and build stuff in an age-appropriate way, but does not let technology and gamification drive the classroom instruction. 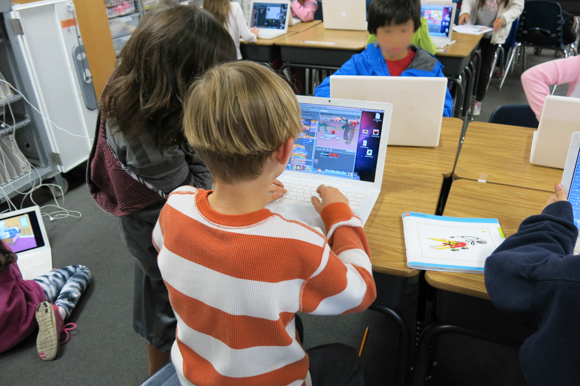 For example, in second grade, BCS has an experimental unit to introduce simple game design using Scratch. The children are instructed in the difference between game playing and game designing. 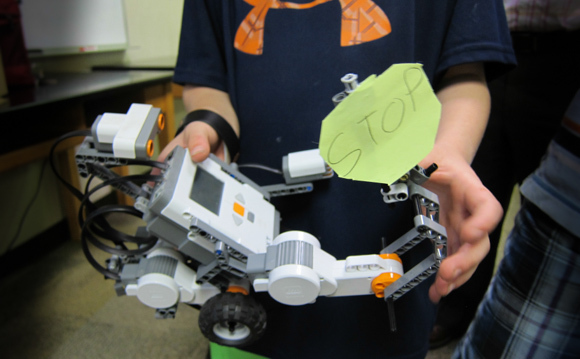 In the fourth grade, BCS students use kits to design, assemble and program simple robots with Lego robotics. BCS is a beta test site for new technologies such as GoalBook, GoalPost and Kahn Academy. It has been one of the first schools to implement innovative programs such Brainology, KidLead, and mentoring in the middle school. BCS is partnering with the Stanford Design School (dschool) to inspire creative confidence in utilizing design-thinking. BCS shares it best practices with educators from San Jose State, Notre Dame de Namur and the Silicon Valley New Teacher project. Fourth grade students – as part of a habitat restoration project – start by partnering with the Hidden Villa to map out existing plants and animals on several hillsides surrounding an eroded area. A fourth grade unit on Gold Rush simulations culminates later in the year with a Gold Rush field trip as well as a student-hosted “gold rush day” complete with stations that teach visitors about they have learned and offer samples of food. Fifth grade students attend a week-long outdoor science school where they learn about conservation and the sustainable ecosystem. They also attend an optional week-long trip to Washington, DC and Williamsburg to support their learning of United States history. Sixth grade students travel to Costa Rica, where they help with the conservation efforts for the diminishing leatherback turtle population by excavating nests…and releasing hatchlings. Bullis Charter School has about 10% more instructional minutes a year than LASD. Because of the extra-curriculars, it is common to start school at 8 staying till after 4. Many of the countries that score higher on assessments than the U.S. have longer school days and longer school years. This is why there is is ample time for foreign language, art, music and drama. The BCS and LASD systems have virtually the same calendar year. BCS dates at school are the same dates as LASD’s. Wouldn’t year round school for all students be nice to have?! BCS grades 7 and 8 have “blocks” which are 65 minutes (1:05) long. There are a handful of half-blocks during the week, and the lunch recess is a half block at 30 minutes. There is a 2 to 3 minute interval for changing rooms between blocks. Every week there are two back to back blocks to create a couple of 2:15 hour long blocks. One of these is for science. 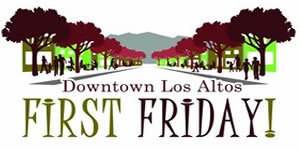 The instructional day starts at 8:00 am and ends at 3:30 pm. In contrast the LASD junior high schools have 46 minute ‘periods’ of time, with back to back blocks that are about 1:35 long. The instructional day at the District’s Blach Junior High School starts at 8:30 and instruction ends at 3:03 pm. 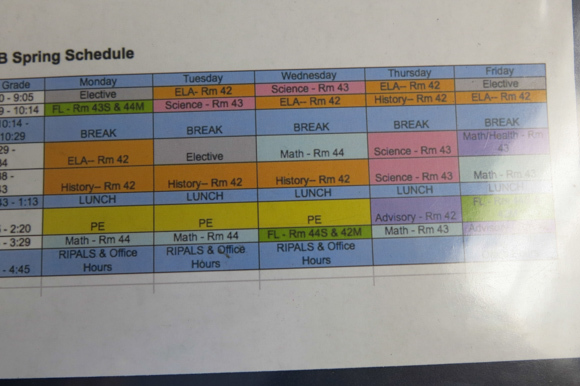 At BCS Fridays are a modified schedule where all students participate about half the day in the fun special topic or skill-building co-curriculars. 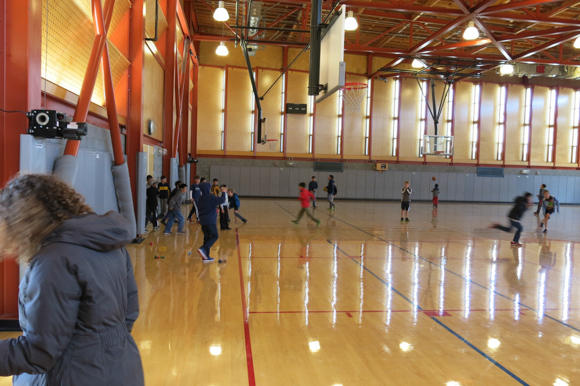 At LASD, the middle schoolers stay with the usual Friday grind. An 8th grade BCS schedule. Combined blocks are over 2 hours long. Schedules change on a trimester basis. In addition there are three-week intersessions which are a total break from the core curriculum, and focus on a group project. BCS educators say that middle school students, with the onset of puberty, often experience lower engagement with school. Therefore, for 7th and 8th graders BCS divides up their school year in order to create more learning excitement. There are three 3-week intersessions each school year, each devoted to a single individual or group project, spaced evenly throughout the school year Each grade works together collaboratively in small groups or as an entire class to research, plan, build, and deliver something they choose by the end of the intersession. These “deep dives” are a break in regular instruction, providing a hands-on opportunity to tackle a real world problem. These intersessions now take place at the Bullis Center for Innovation at Blach and have themes. 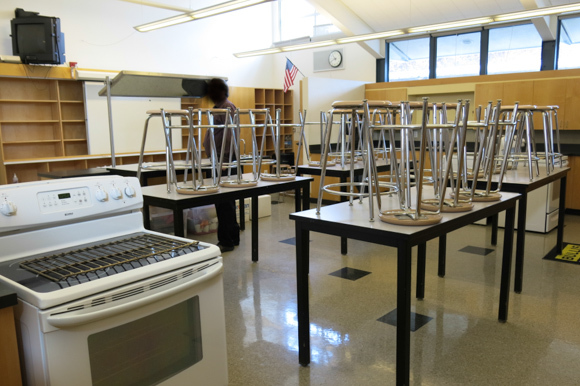 BCS 7th graders used this Blach kitchen classroom to learn cooking basics during one of the 3 intersessions this past year. Too much to eat! The prepared foods were shared with appreciative District Blach students and teachers. Bullis Charter School really is a significantly different choice in public schools. Recently LASD has been touting that it is “innovating” and has “Blueprints” that say so. It’s talking the talk, but can it actually get its teachers to walk the walk? LASD says “me too.” BCS has the proven track record. Town Crier article from Sept. 2010 when 7th grade was added to BCS. Why LASD has no alternative schools?